Greg S. led the Pledge of Allegiance. Gae L. introduced visitors. Visiting Rotarians included Brenda D. from San Jose Rotary and Darryl M. Visitors of Rotarians included Hal R's wife and son (who just received an Academy Award for animation! ); Don M.'s wife of 60 yrs, Beverly; and two visitors of Andrew H's. - Greg F. and Josh R.
For inspiration, John P. read his favorite poem. Gae L. announced that First Thursday will take place on March 7th from 5-7pm at The Travel Advisors. Please bring wine and appetizers. Lisa C. thanked the Rotarians who participated in the Fisher House dinner on February 28th. Mike N. reminded the club that the Great Race is Sunday, April 28th at 8:30am. Andrea L. announced that the following Rotarians have March birthdays - John C., Tony J., Don M., Tom B., Leo K., Gene L. Patti V., Paul M., Dan D., Ed G., Lisa M., and Norm S.. Andrew H. asked each of these members to describe the best childhood birthday gift they had ever received. Answers included an Erector Set and dinner at Denny's! Andrew H. showed a video from the Rotary International Foundation featuring Bono of the rock band, U2, thanking Rotarians for intervening in service around the world. 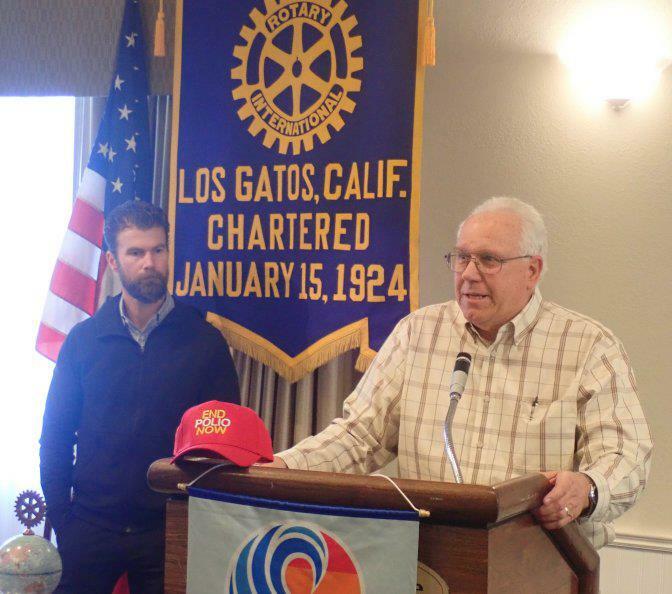 Andrew H. also read a letter received from a Rotarian from Minnesota who had visited our club last month. In this letter, the Rotarian describing that during his visit he saw "a very healthy club" and thanked the club for it's warm hospitality. This week's speaker, introduced by Hal R., was Sandeep Gopisetty. 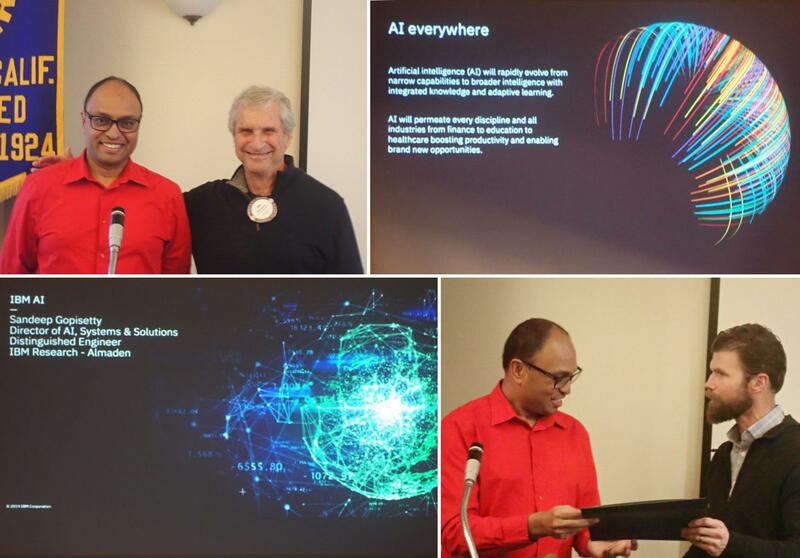 Sandeep, son of a former Rotarian, is an IBM Distinguished Engineer and Director of Artificial Intelligence who spoke about current and future uses of AI. Andrew H. ended the meeting with a quote from Albert Einstein. Although not announced in the general meeting, please note here that, in the February board meeting a decision was made to transition to an electronic Club Runner-based roster next year.